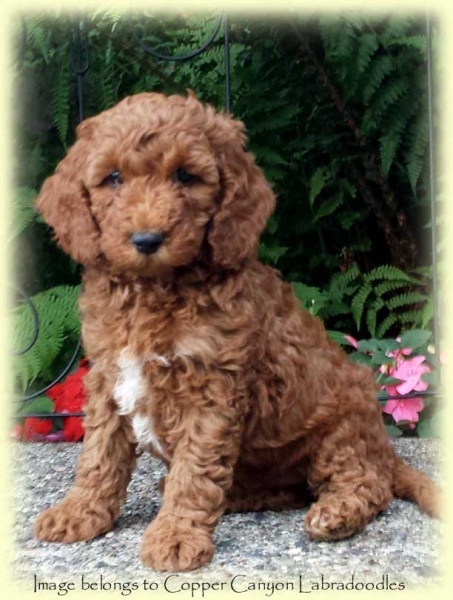 Australian Copper Canyon Labradoodles breeds Australian Labradoodle Puppies for Sale in the Vancouver, BC area. They have more than ten female breeding dogs. These sweet tempered ladies produce friendly, family-ready pets that will make wonderful companions and assistance dogs. 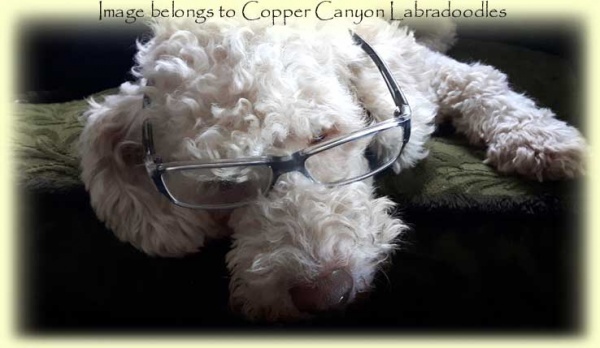 Copper Canyon produces dogs of the highest standards, and that starts with having many happy and healthy parent dogs. 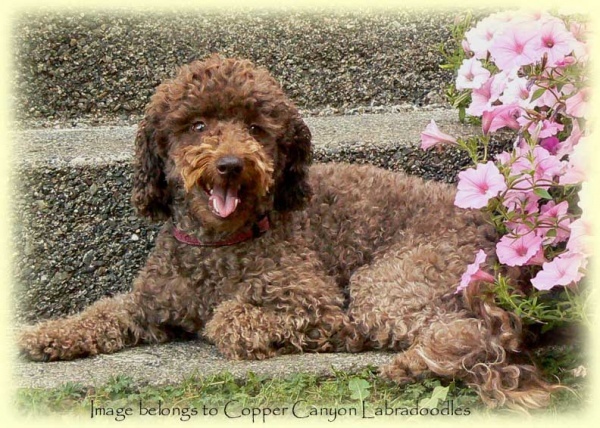 The female breeding dogs at Copper Canyon Labradoodles produce Australian Labradoodle puppies that have very interesting and varied colors, are highly intelligent, and are friendly and happy. 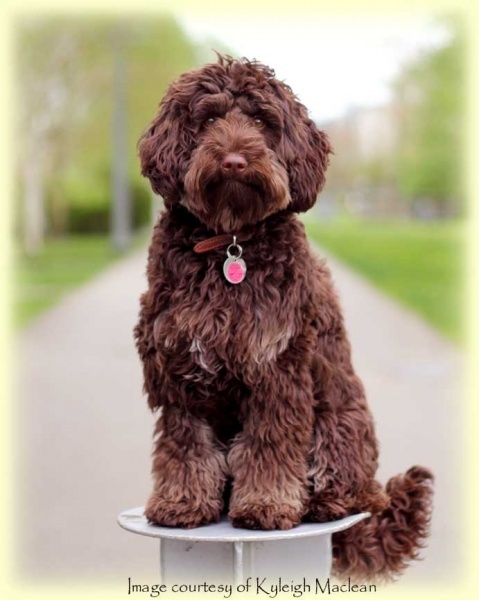 Due to their temperaments and sturdy body frame, Labradoodles make both wonderful family pets as well as service dogs for the disabled. 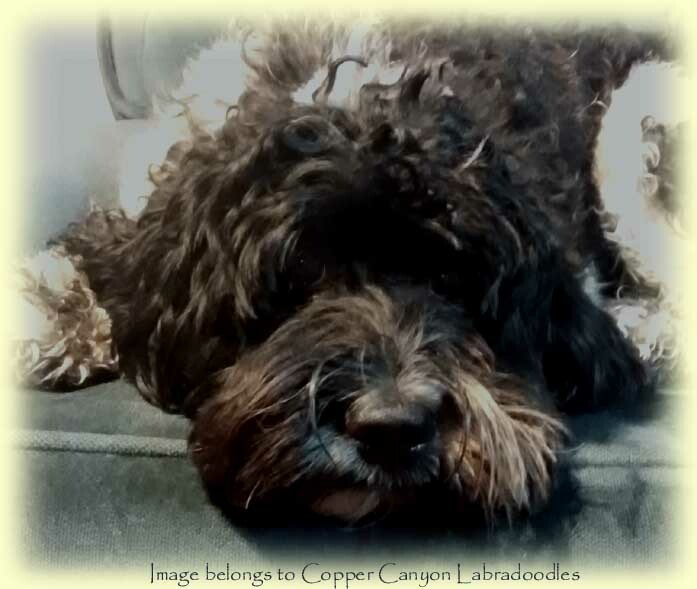 The labradoodles from Copper Canyon are breed standard and their litters will be hand raised to be sweet, gentle companion animals appropriate for owners of all ages and families of all sizes. 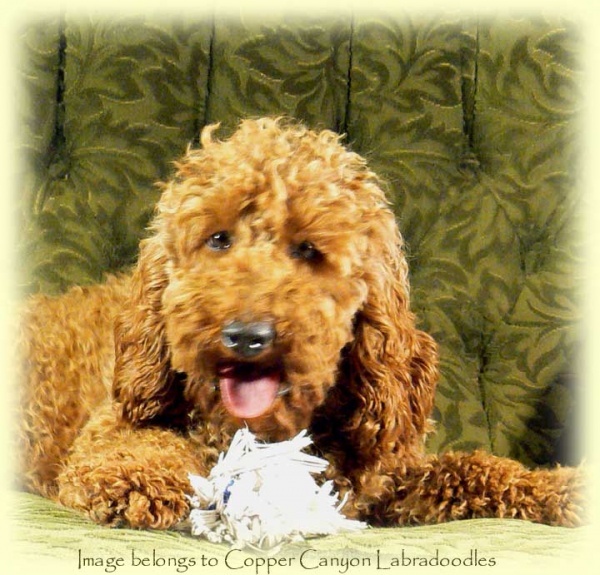 Contact Copper Canyon Labradoodles to learn more about their dogs and upcoming litters. Meet Rosie! Rosie is out of Tawney’s last litter with the handsome Bentley! She is a super sweet girl who is a low key sweetheart, she just sort of “fits into” life quite easily. She is right on the cusp between very full sized mini and very small medium. She carries for apricot and black and maybe parti. 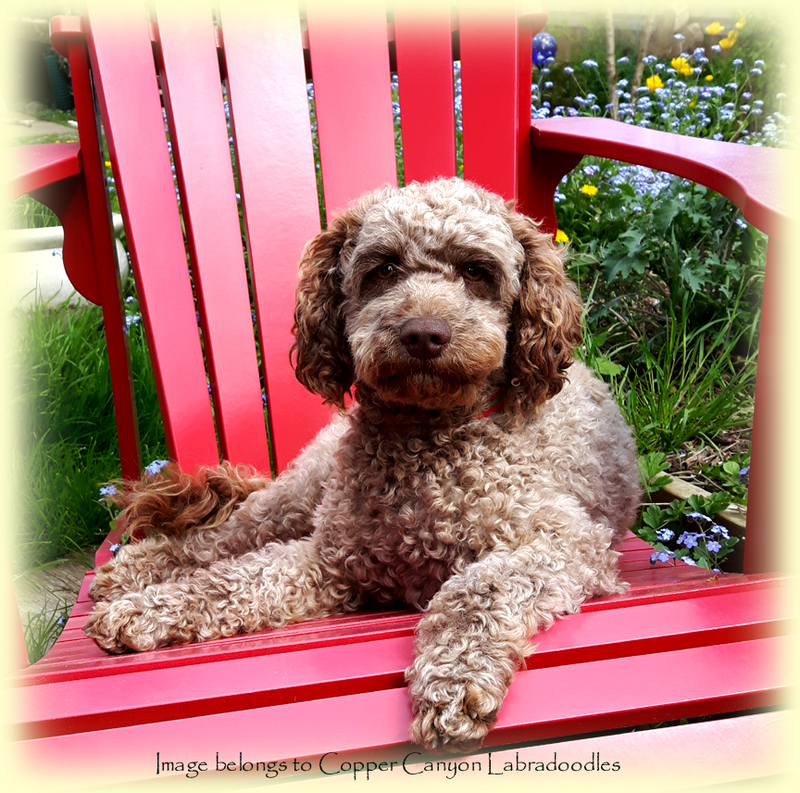 She has a super easy to groom coat of gold fleece and she’s a pleasure to have around when we dogsit for her family! Rosie lives in a guardian home in Victoria. She has passed her health testing with great results and we are delighted with her. 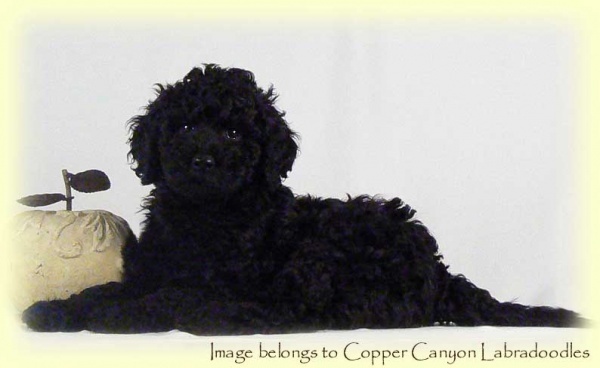 Zola is a beautiful chocolate phantom girl out of Molly and Sunset’s last litter. She’s a peaceful little soul and has a lot of smarts behind those soft brown eyes! She’s a smaller sized girl at 16 pounds or so, and is nicely in the mini size range. 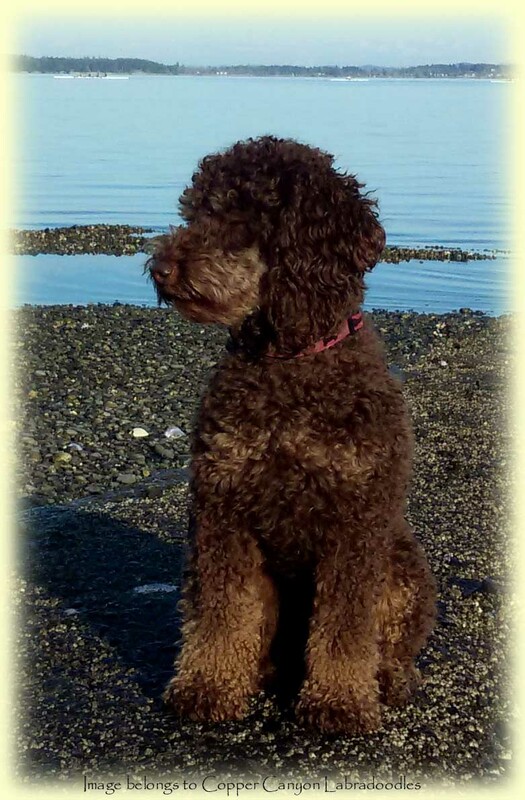 Zola lives in a guardian home in Victoria with Molly (her mom) where she gets to go on weekend hikes and romps on the beach. She’s a gentle natured girl and fairly intuitive about things. She may carry for red and parti and so we think that her puppies will be beautiful! She has passed her health testing with great results and we look forward to her babies! Introducing Ellie. 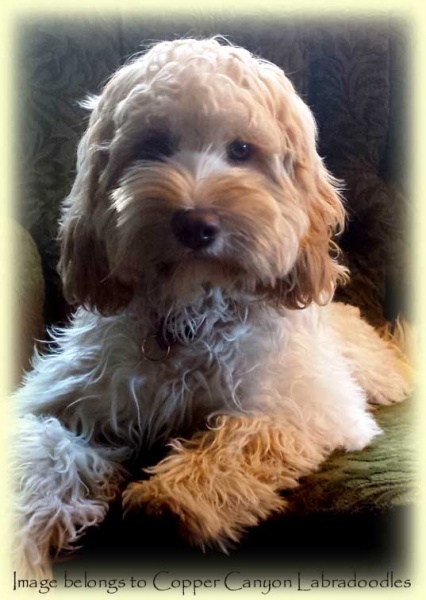 Ellie is the cutest little scrap of creamy white fluff that you will ever meet! 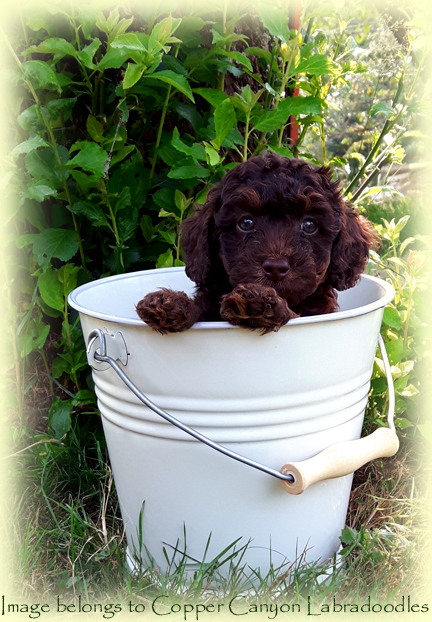 She is a small mini in size and carries for chocolate as well as cream, She is a Muggles grand daughter out of our Cocoa and Dusk. Great with kids, she has a lovely temperament. 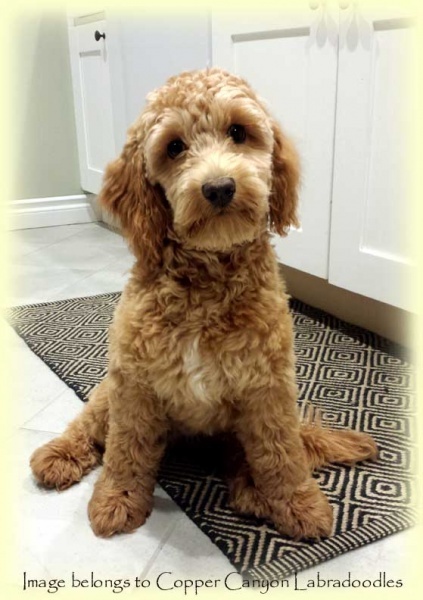 She lives in a guardian home with two full sized standard Australian Labradoodles, so she loves to play with her big brothers. 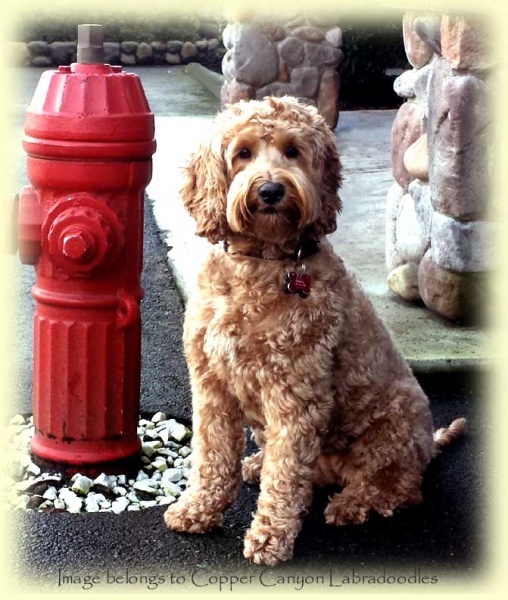 Ellie’s size is perfect for families with smaller homes or condo regulations. She has passed her health testing with great results and so we think that she will make a great mom to some smaller and micro sized minis. Introducing Amber! Amber is a gorgeous apricot daughter of Bella and she carries for red, black and possibly for parti and chocolate. She is a proverbial chip off her mama’s block and has Bella’s super chill, easy going and fun loving personality (and dad is no slouch either in those departments!). She is a full sized medium girl with a lovely fleece coat. 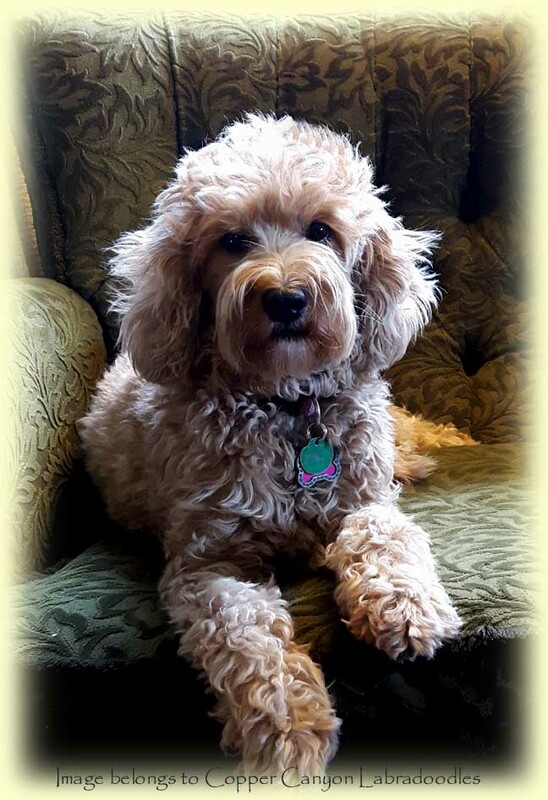 She would make a great therapy dog with her superb disposition and we can’t say enough about her! Amber weighs around 43 pounds and carries for both mini as well as larger, so the size of her puppies will depend on her beau. She has passed her testing with flying colours and we look forward to her babies! Introducing Kismet! Kismet is a beautiful little girl out of Domino and Bentley. She has a lovely wavy fleece coat much like her dad and the colouring of her mom. She is right on the cusp of full sized mini and very small medium, so she fits great on a lap but does great on a long walk. Clearly, she believes in couches and other soft things! A soft natured, social girl and is very much a follower, she adores her ball (and her ‘kids’). Kismet is a black and white parti marked girl carrying for red and possibly for chocolate. 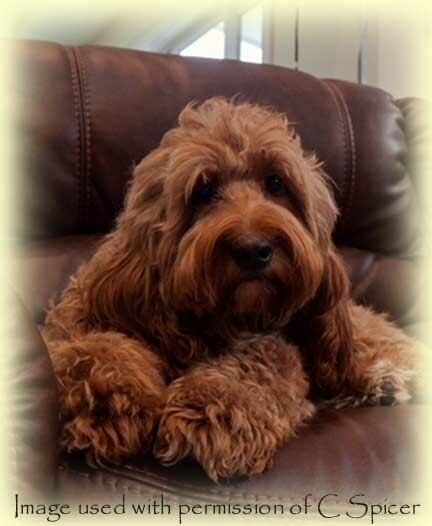 She has a wavy fleece coat that does not tend to mat, so she is really easy to groom. She has passed her health testing with great results and we look forward to seeing her babies! Meet Leela! 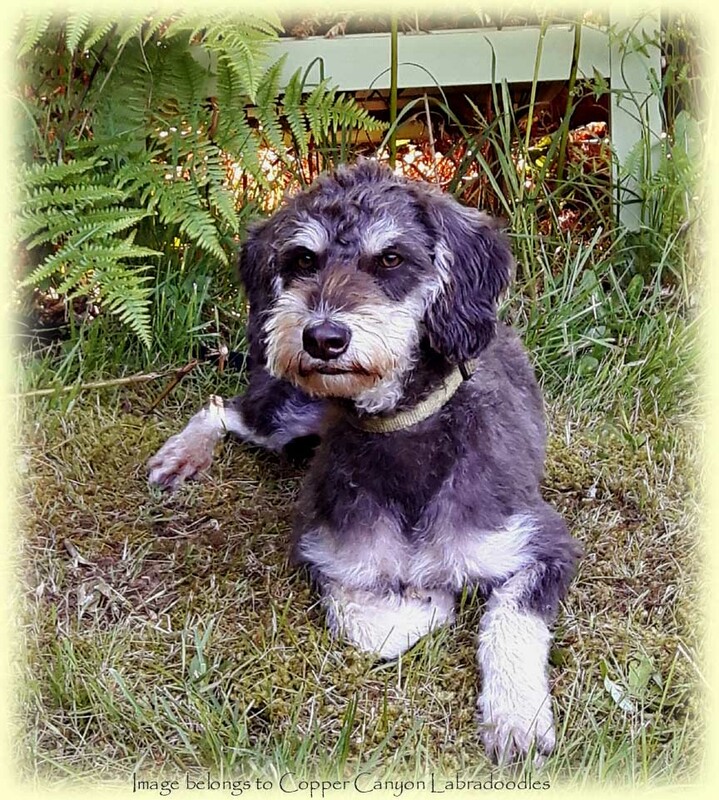 Leela comes to us from Oregon and she is one of the loveliest dogs you will ever meet! Gentle, sweet natured and easy going, she is just a treasure. She is a medium sized girl with a straight fleece coat and of course, she is a chocolate and cream phantom, which I think is really pretty! 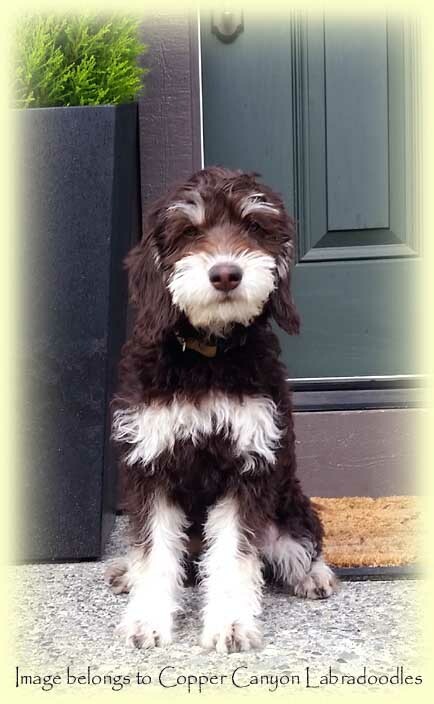 She is a multigen American Labradoodle and brings new bloodlines to our breeding program. She has passed her health clearances and we are excited to see puppies from her that have her stellar temperament and beautiful markings. D’ore (who also goes by the name of Moggie) is a beautiful girl! She’s fun loving and adores her walks, playtime, neighborhood doggy friends and couch time. Her outgoing personality and good looks charm everybody who meets her! D’ore has a lovely coat of solid gold fleece and she is a really well put together girl. She’s a smaller medium in size, maybe 32 pounds in weight. 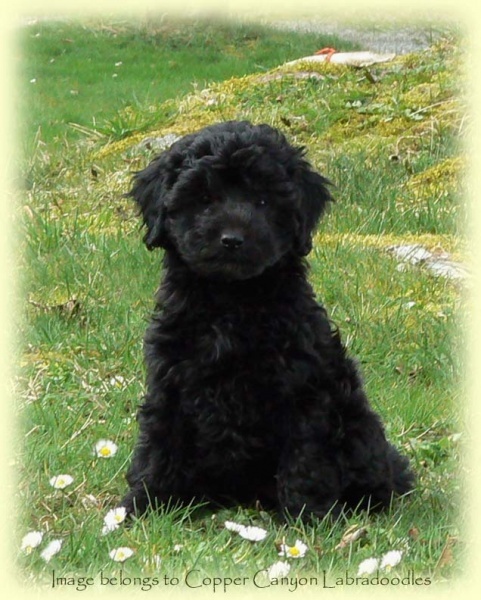 She is a multigen Australian Labradoodle carrying for deep red, gold and black. She has passed her health testing with good results and we look forward to babies that have her fun loving, affectionate and trainable nature! Introducing Daisy! Daisy is out of Fudgee’s last litter with Murphy. 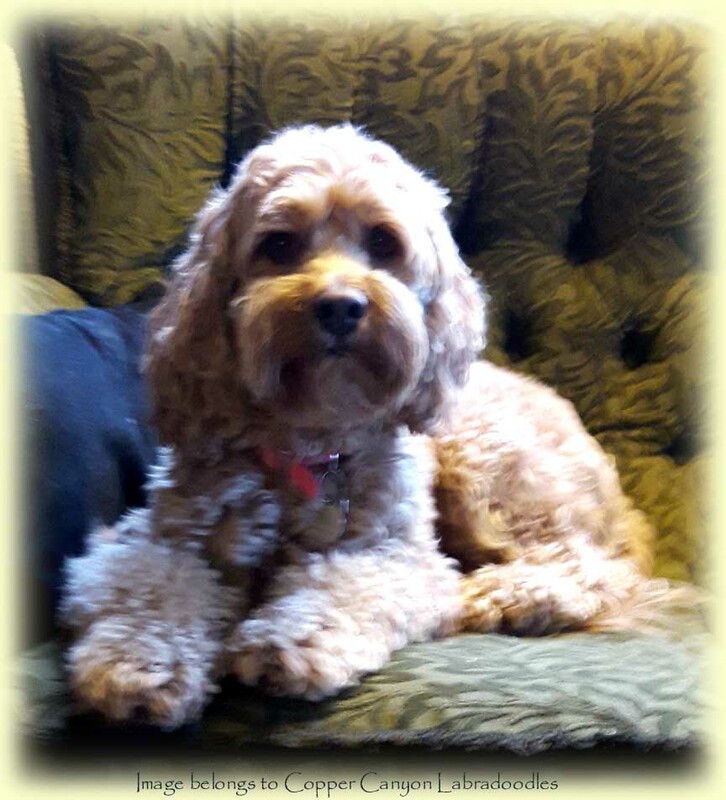 Daisy has a superb temperament and takes the whole world in stride, including the very busy home she lives in with 2 very active girls! She is a small medium in size and has absolutely gorgeous boning to complement her temperament. She is friendly and loves to meet the world. We can’t say enough good things about her. She carries for gold and cream, is double recessive for chocolate and is also parti factored and phantom factored. We look forward to some colourful litters from her. 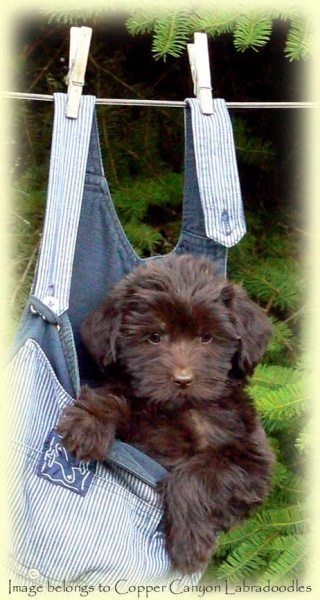 Introducing Koko, a daughter of Shadow and Sunset, and a grand daughter of Muggles! Koko is a full sized milk chocolate mini girl with a super nice coat of wool. She is confident, fun loving, loves to play, and is always game to do something, whether it’s a walk or a hike or chasing balls (or squirrels). She is a moderately active, mildly independent minded girl who likes to get out and do things – a couch potato she is not! She is a nicely put together girl and has beautiful structure. Shadow carries for phantom and may carry for parti and possibly gold. She has passed her health testing with great results and we look forward to seeing her puppies! Penny is a soft natured cuddler who thinks that her head belongs in a lap. Somewhere! Anywhere! 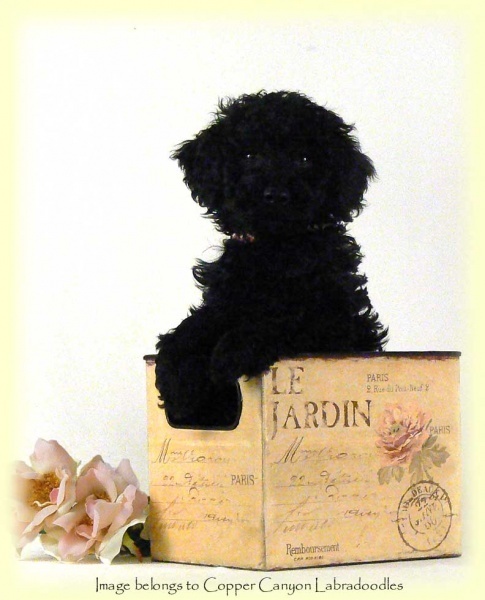 She is a full sized mini girl out of Bentley and a lovely moyen poodle named Poppy. A full sized mini with a loopy fleece coat, she is a real character. She is amazing at finding the softest bed or pillow in the house, and she takes care of the other dogs much like her grandma Bella does. She has passed her health testing with great results and we look forward to seeing some red babies from her! Skye is a beautiful black girl out of our Mabeline and Lukka. She is 18 inches of exuberant fun and snuggles (tho with excellent manners, I might add)! She has been raised with kids and adores them. Also on her favorites list are walks and playtime at the park, balls, car rides, treats… Skye has a zest for life and never makes strange. she does carry for chocolate as both her parents do, and we know that she carries for parti from her dad. 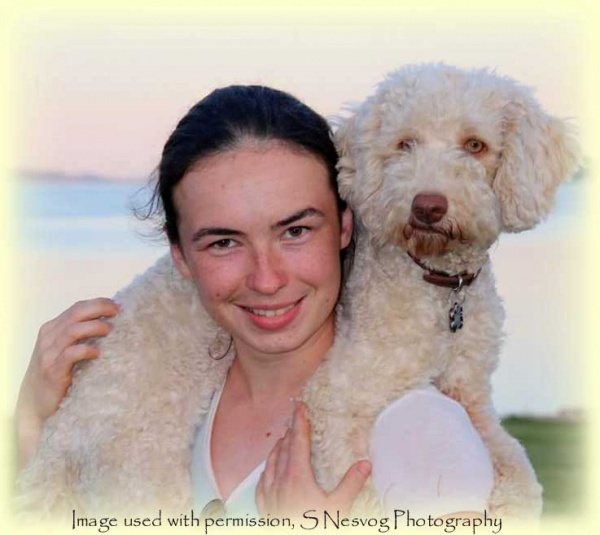 Skye is out of one of our original bloodlines and they all seem to have tremendous trainability and steady nerves so we are delighted that she has graduated to the breeding program. Introducing Luna! Luna is a gentle natured chocolate phantom girl out of our Starr and Lukka. 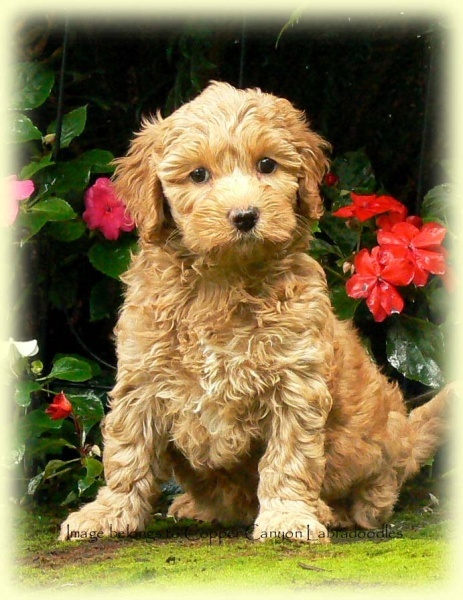 She is a lovely miniature in size and has the gentle and easy trainability that is so typical of a well bred Australian Labradoodle. She has just finished her health testing and we are delighted! She is submissive but not timid and she adores couch time, belly rubs and walk time in the parks. Luna lives in a guardian home in Richmond and they absolutely love her to bits! She weighs around 25 pounds and is a really well put together little girl. Luna carries for gold and parti as well, so we expect to see some colourful litters from her! This lovely chalk girl is Rumour! 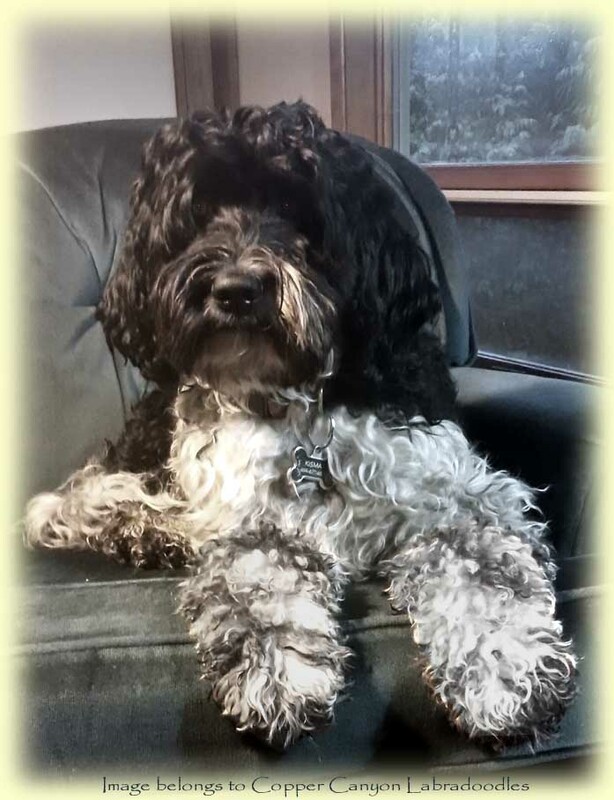 She is my daughter’s partner in crime for hikes, walks, runs, beach time, watching movies and whatever else… Rumour is a small medium girl, just over 17 inches tall with a wool coat and she weighs 26 pounds. She is bright, super easy to train and is quite an outgoing and fun loving girl who loves treats and adventures. She is out of Tawney and Sunset and we are delighted with her temperament. This little sweetie is Molly! She is a full sister to Dusk and is a small miniature weighing around 16 pounds. She carries for red and likely for phantom. She is a super friendly and sweet natured girl who is game for hikes, walks, quality couch time and cuddles. She firmly believes that everybody should be her friend. She lives in a guardian home in Victoria where she loves to accompany them to the organic farm they work (or whatever else they have on the go). 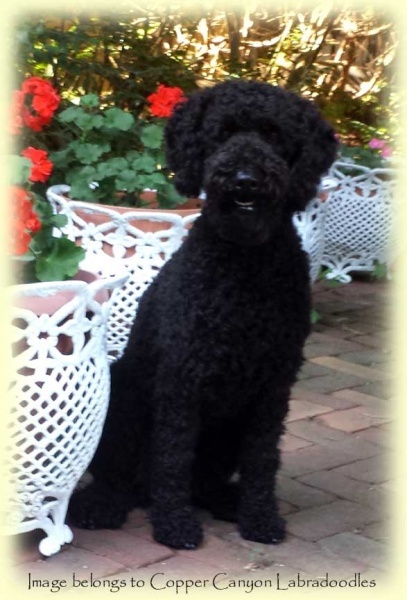 Molly has a wool coat and she is an F4 generation American labradoodle who brings new bloodlines to our breeding program. 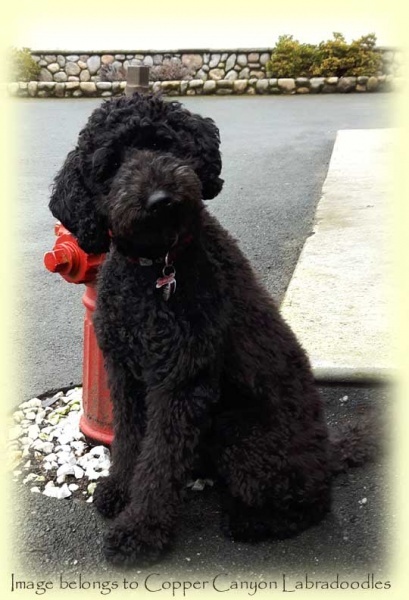 She has passed all her health clearances and we are delighted with her temperament and her size. She is a great mom and an excellent companion! What can we tell you about Mabel?! Mabel is one of the smartest dogs you will ever meet. She’s very outgoing, learns quickly and loves kids. Mabel has matured to be a nice miniature size, 23 pounds. She has a lovely coat of silky milk chocolate fleece and you can tell that she’s watching everything that goes on… She loves car rides and couches and walks. She lives in a guardian home not far from us. Introducing Piper! Piper is a super nice little girl out of Angie’s last litter with Bentley. She is a lovely fleece coated girl with exceptional temperament. She is social and friendly, great around children and her guardian family can’t say enough nice things about her! She has finished out as a nice miniature size of 20 pounds and has passed her health testing with flying colours. Piper carries for apricot/red, black and merle, possibly for chocolate. We look forward to seeing her babies. This is Lizzie! 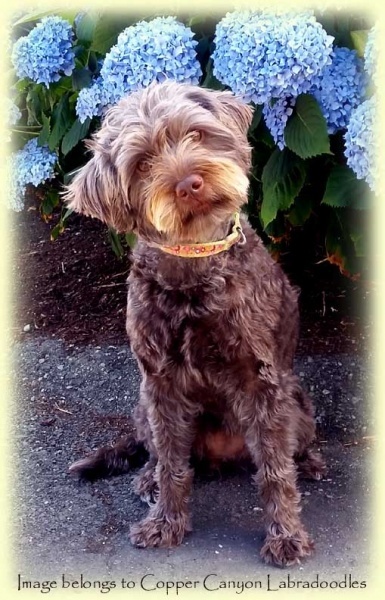 Lizzie lives in a guardian home in Chemainus and is quite the cute little character! She is so good natured and playful, which is a good thing as they have young children and lots of play dates happening at their home! She is a little girl the same size as her dad, Dusk. Weighing in at 12.5 pounds, she is a true small miniature in size, the perfect little lap warmer. Lizzie has a beautiful coat of non shedding black fleece and is always smiling! She has passed her health testing and we look forward to her puppies. This is Mabel! Mabel is a daughter of our Lady, who has been retired and she is a lovely girl! In so many ways, she reminds us of her mom, just in black rather than white! She is a super steady and social girl who is happy to meet people. She loves her toys, long walks and is such a nicely put together girl. She is a good medium in size, around 18 or 19 inches and 35 pounds. 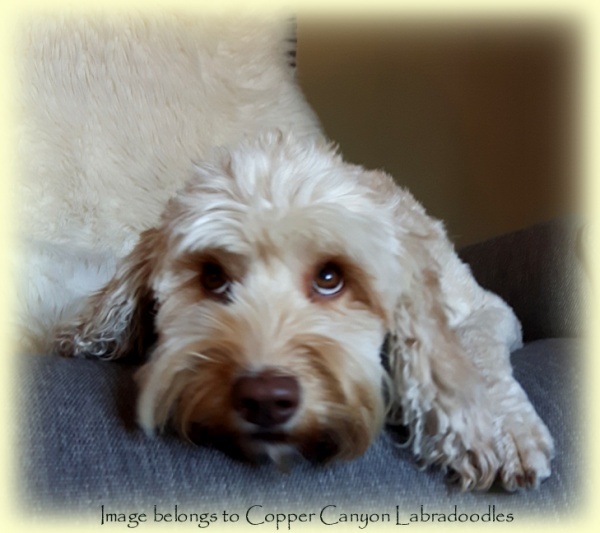 She has passed her health testing with flying colours and we are excited to see her join our breeding program. Mabel carries for chocolate as well as cream. 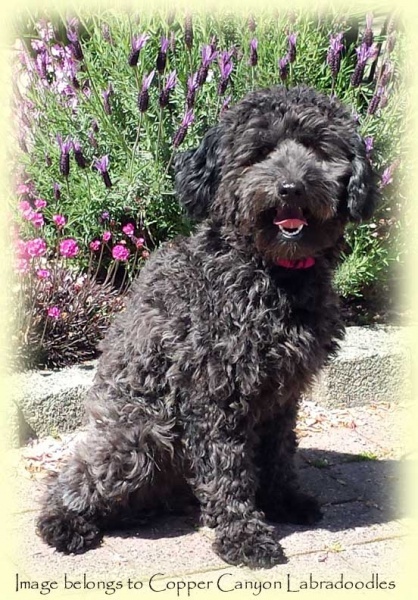 She is super smart, highly trainable and has the perfect Australian Labradoodle temperament!